While not always the most popular of professional sports leagues, the WNBA has certainly been the most progressive. They have taken the lead toward supporting their athletes and players in everything from Sheryl Swoopes becoming the first openly gay, professional athlete to giving their athletes a platform to advocate for social justice causes and taking a stand against everything from police brutality to honoring the victims of the 2016 Pulse Shooting. The WNBA has grown a lot, and is seeing increased viewership, attendance and popularity. With their athletes taking a lead toward activism, more people are becoming fans of women’s basketball. The great news is, the WNBA itself as a league is putting its money where its mouth is. 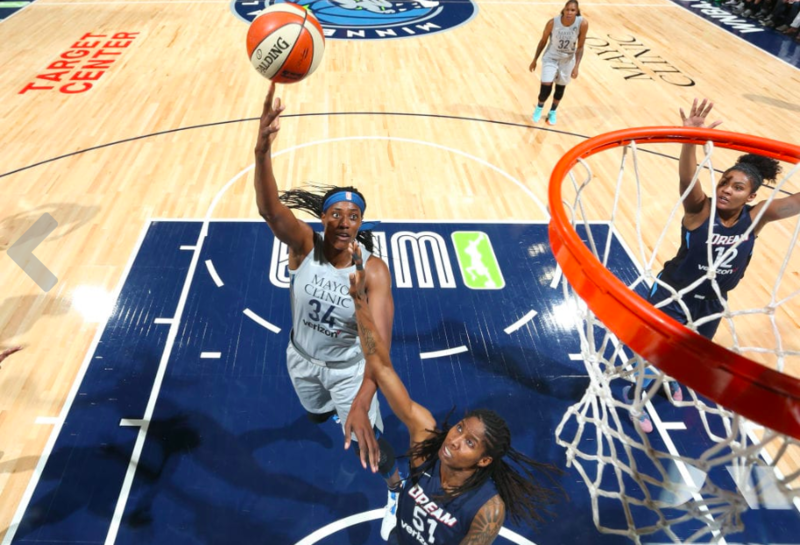 This year, the WNBA launched their “Take a Seat, Take a Stand” initiative which will donate a portion of every ticket sold at every WNBA game to one of six charities and non-profits. The charities are specifically selected because of their role in the female empowerment. The charities include Bright Pink, a nonprofit focused on the prevention and early detection of breast and ovarian cancer; GLSEN, which aims to create safe and inclusive schools for LGBTQ students; It’s On Us, which is working to shift the way our culture thinks about sexual assault; MENTOR, an organization that supports youth mentorship; The United State of Women, “a national organization for any woman who sees that we need a different America for all women to survive and thrive;” and Planned Parenthood. $5 from each ticket to a game or each WNBA League Pass sold will go toward one of these charities, in addition the WNBA has already donated $25,000 to each organization. This commitment from the league continues to build off the growing activism of athletes within and outside of the WNBA in taking a stand against social causes. Defying those politicians and critics who argue that athletes should focus on the game and not otherwise speak out. This commitment by the WNBA to take a stand for female empowerment shows what sports can do to create a better world!